A83 H4 LED Lens Headlights Far and near light integrated auto LED headlights led replacement headlight bulbs for cars. Although sometimes dense foggy, turn and turn of the road, with RAYTON LED headlights, we can go home safely and reunite with family, sharing the happiness of family union. .With its own lens and aluminum reflector, it solves the problem of astigmatism, making the lights brighter and more concentrated. .Waterproof and dustproof, adapt to a variety of harsh environments. 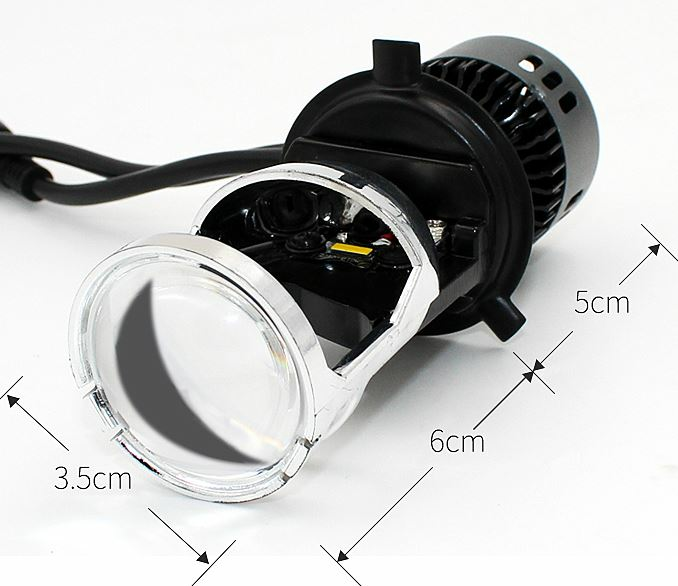 .Rotary inlet hole design, Reduce the fan's intake resistance, noiseless. We supply A83 H4 LED Lens Far and near light integrated led replacement headlight bulbs for cars,1 year warranty from Guangdong Rayton. We devoted ourselves to auto lighting more than 10 years, covering most of European and the Americas Market. We are expecting become your long term partner in future. It is always your best choice to contact us.